Bermudagrass (Cynodon dactylon) is a warm-season turf grass that grows best in U.S. Department of Agriculture plant hardiness zones 7 to 10. Its ability to handle heat and drought has made it one of the most popular turf grasses in the southern United States, but its aggressive growth patterns sometimes cause problems. A homeowner mows their lawn. Bermudagrass grows low to the ground and produces fine-textured, dark green leaves. It spreads readily by sending out stolons, new shoots that run above the surface of the soil, and rhizomes, root-like shoots that spread under the soil surface. Both stolons and rhizomes can produce root systems and new plants that are separate from the parent plant. The dense network of stolons and deep-growing rhizomes, which may reach down 6 inches or more beneath the surface of the soil, create a thick turf that can be an effective barrier to erosion. Although Bermudagrass can withstand the stresses of warm climates, it's sensitive to cold and may be damaged by frost. Hybrid varieties that have been developed to improve their cold hardiness are the best choice in areas where frost is a concern. These varieties include "Tifsport," "Tifway" and "Ashmore." Cultivars that have been developed to improve their color and leaf texture are intended specifically for use in turf; these varieties include "Tifgreen," "Tifdwarf," "Santa Ana," "Aussie Green," "Celebration," "Premier" and "Patriot." The ability of bermudagrass to spread quickly and easily makes it an admirable performer in turf applications. It establishes a dense turf quickly, and it readily fills in bare patches. Its spreading habit can be a detriment, however. 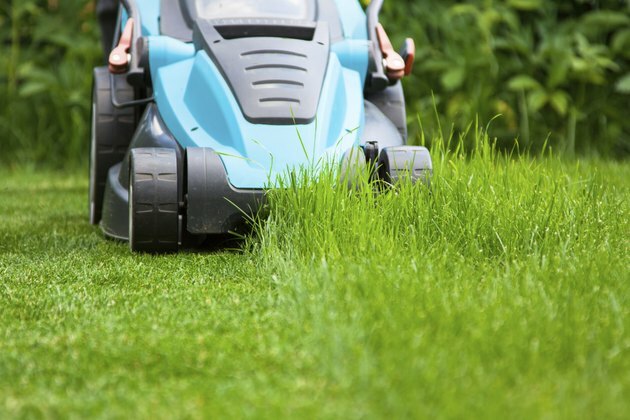 Bermudagrass turf, if left uncontained by edging, can quickly invade garden beds and pavement, and its thick root system can make it hard to remove from places where it's not wanted. Invasive bermudagrass can also become a troublesome weed if it escapes the lawn, although many turf-specific hybrids do not produce seeds, so they're less likely to get out of control. Bermudagrass is susceptible to attack by pests such as armyworms, cutworms, bermudagrass mites, mealybugs, nematodes and sod webworms. It's also vulnerable to fungal infections such as dollar spot, leafspot and brownpatch. Fertilizing with too much nitrogen, mowing too closely or watering too often are all improper maintenance practices that cause stress and increase bermudagrass' vulnerability to these problems. Proper turf management is one of the most effective ways to ensure that your bermudagrass stays healthy.